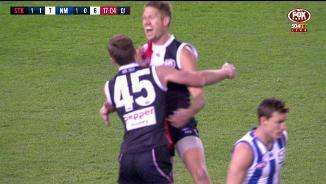 St Kilda players Leigh Montagna and Sam Gilbert are preparing to play in the International Rules Series in Ireland at the end of this month. Gilbert was drafted by the Saints with pick No. 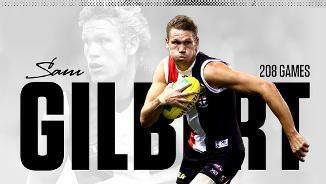 33 in the 2005 National Draft. 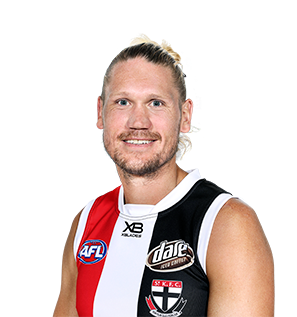 The 31-year-old – who is now the oldest player on the St Kilda list – played 18 games in 2017, missing games through hand and groin injuries late in the season. 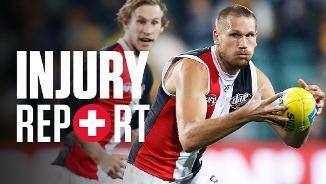 After building into the year alongside new key defenders Jake Carlisle and Nathan Brown, Gilbert produced the strongest patch of his season in the month prior to the mid-season bye, with strong displays against Carlton, Sydney and the Western Bulldogs.